P&O has been Australia’s favourite family cruise line for many years and the newly revamped Pacific Jewel upholds that great tradition. I first cruised on the Jewel five years ago and it won me over right from the start with its laid back friendly crew and its modern facilities. Going on board recently was like going home. Smiling faces, people having fun and great new facilities. Jewel has a timeless beauty, but cruise ships need to be constantly updated and P&O decided it was time to revamp the ship while maintaining its best features. Carrying 1900 passengers, the 70,310-tonne ship features the cruise line’s ground-breaking dining concept, The Pantry, as well as a Salt Grill by Luke Mangan restaurant, Asian-themed dining at Luna and private group dining at Chef’s Table in the Waterfront restaurant. 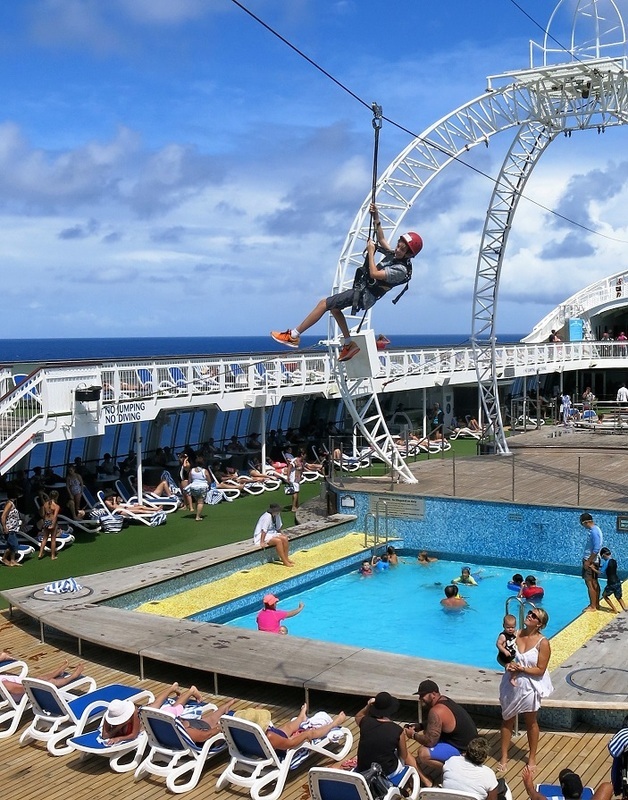 Pacific Jewel is home to the largest adventure park at sea, the P&O Edge Adventure Park. This includes a thrilling flying fox style ride on a zip line running across the pools and deck. For mum and dad, there is a two-level Oasis child-free retreat as well as the Aqua health spa. You can relax in the Dome entertainment area and observation lounge or the eight bars and lounges. 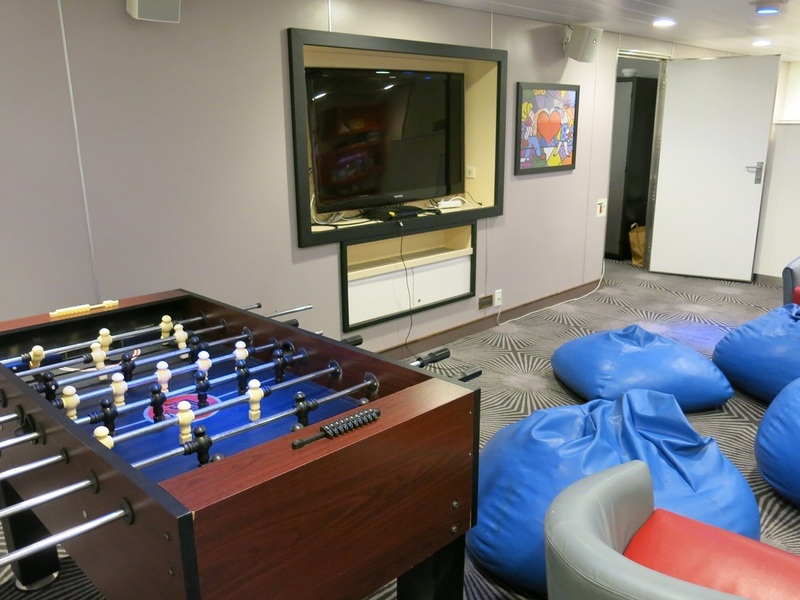 The ship has lot of deck space plus two swimming pools and whirlpool spas. However, it is in the food and catering areas that the biggest changes can be seen. There is a new coffee restaurant and lolly shop, but the biggest eye-catcher is The Pantry. 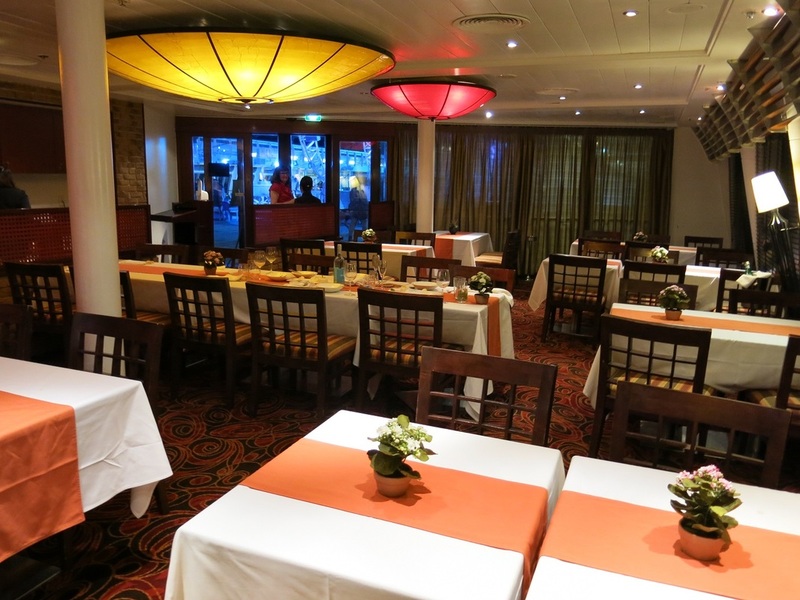 This is the eatery on Deck 12 which is used by most passengers for breakfast and lunch. Gone are the “buffet” type island bars, replaced by staffed servery’s where you can order anything from Mexican to a pizza or a burger. It will be personally prepared and served to you. 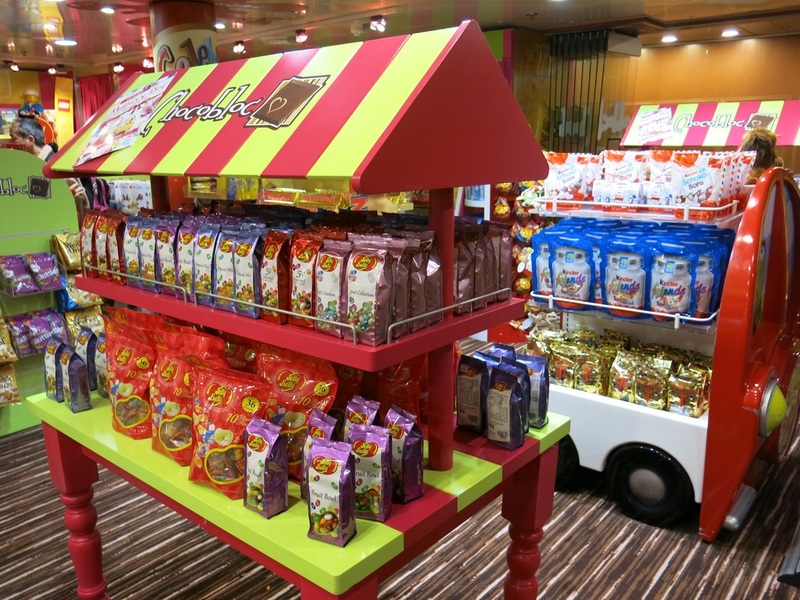 The Pantry is much healthier for guests as the old fashioned buffet on most cruise ships is susceptible to health problems. La Luna Asian restaurant is always a great night out and for something different; I had High Tea in the Salt Grill. It was a Dietician’s Nightmare; lovely cakes, scones and large selection of teas from around the world. I went on this cruise as part of a multi-generational group...grandparents and grown up kids. Next time I will take the grandkids as I quickly realised the Jewel offers the perfect family holiday. So, what do kids get to on board? Well, there is a multitude of Kids Clubs, serving every group. Kids get the chance to make new friends and learn new skills in a relaxed, safe environment. Turtle Cove is designed for the two to six-year-old age group. This includes a pager service for parents so that you can be contacted at all times. The theme is “Have Fun and Be Safe” and the kiddies are hosted by child minding experts. Shark Shack is for kids aged seven to 10. Lego is the big favourite in this club, but there are also lots of activities throughout the day including arts and crafts, dancing, concerts and scavenger hunts. HQ is for older kids 11 to 14 and is real eye opener. 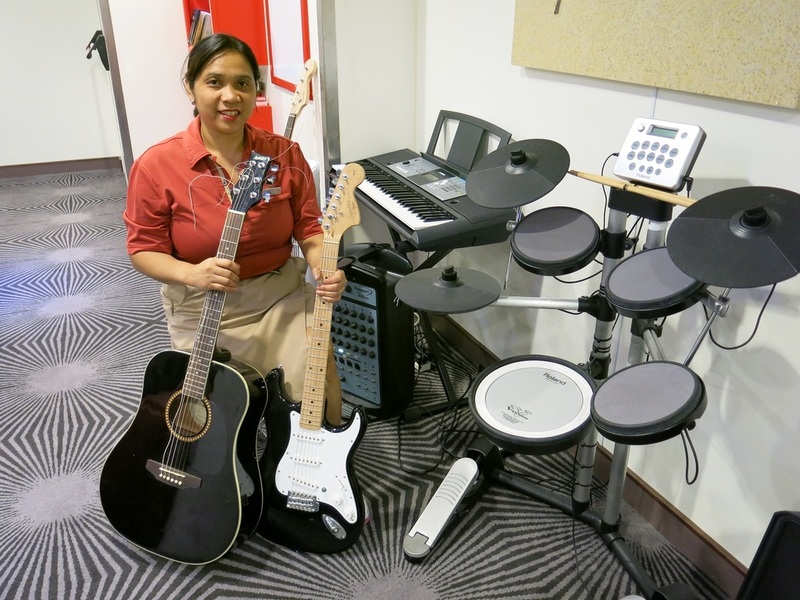 It is a lots of electronic games, the chance to make a stop motion animated film and a Teen Jam section for making music. Kids can come and go throughout the day, but after 10.30pm they have to be picked up by parents. HQ Plus also provides the chance to make music or form a group and make a music video. Both HQ and HQ Plus also have the chance to perform live on board at a concert. There is special dining for the younger kiddies if you desire, but I noticed that a lot of children dined with their parents. I think this is great to see as it gives kids dining skills for the future and teaches them what it is like to sit at a table and chat without a TV or I-phone. In fact, a Pacific Jewel cruise is a great way to introduce your young family to overseas travel. They get to discover new worlds and make new friends in some of the most stunning places on earth. Finally, the staff on Pacific Jewel is brilliant. They are the friendliest group I have met in more than 80 cruises worldwide. 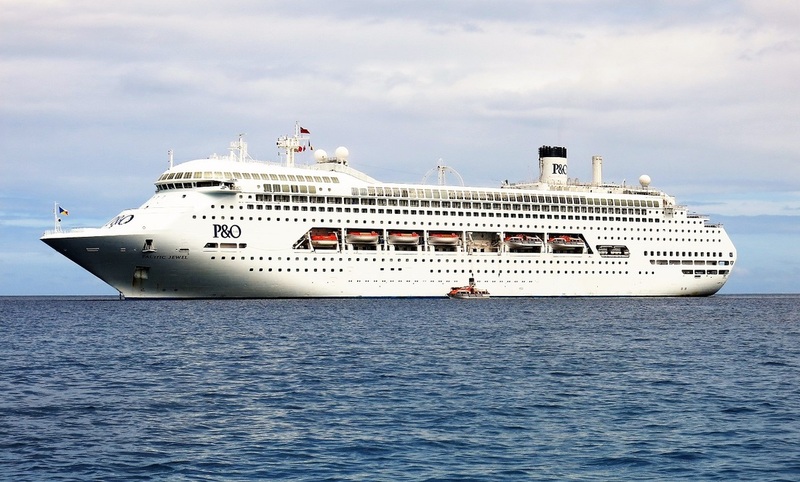 They are a credit to P&O and continue the company’s great tradition of friendly service.